Normally I would not write about a band from outside of Toronto, but these guys were very polite to send me three songs to review, so I agreed. I just hope one day they make it to Toronto to play, so I can get my reputation back. This band is from Atlanta and has the ability to jump from infectious pop grooves to moody dark rockers and even explore the gentler side of progressive rock. The first song I heard was, “Time to waste”. It is a high flying pop song with hints of fanciful and sensible pop melodies. It has a very young sound that will attract listeners that want something more than the top 40 pop crap out there. 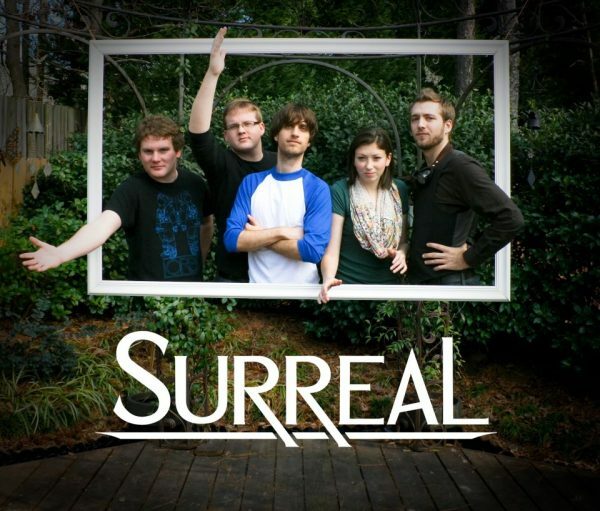 With that said, Surreal is a band that is very radio friendly and has a chance to make it to a larger audience. The second song is called, “The Unrealized”, and it has a heavier and fatter feel to it. This instrumental has a good mix of different mix of progressive sounds. The production is very clean and their time signatures are mixed well with some great guitar shredding. They even throw in some classical elements as well. This is a band that clearly has a lot of different musical influences and is trying to elevate them in their own style. The third song is called, “Rivers in the sky”. This is a wonderful light prog song with a female singer whose sugary sweet voice adds a new element to this exploratory band. This one will have you floating on the youth of a new love when you first discovered that new music that made sense to you. Overall, I believe this band is meant for our youth to discover and fall in love with, just like we did when we discovered bands like Yes, Genesis, and Marillion, and Starcastle. Give them a chance to explore and grow, you may find a band that you and your children can enjoy together. Their enthusiasm is infectious simply because it feels real and not manufactured like all that drivel pouring into the ears of soulless listeners.